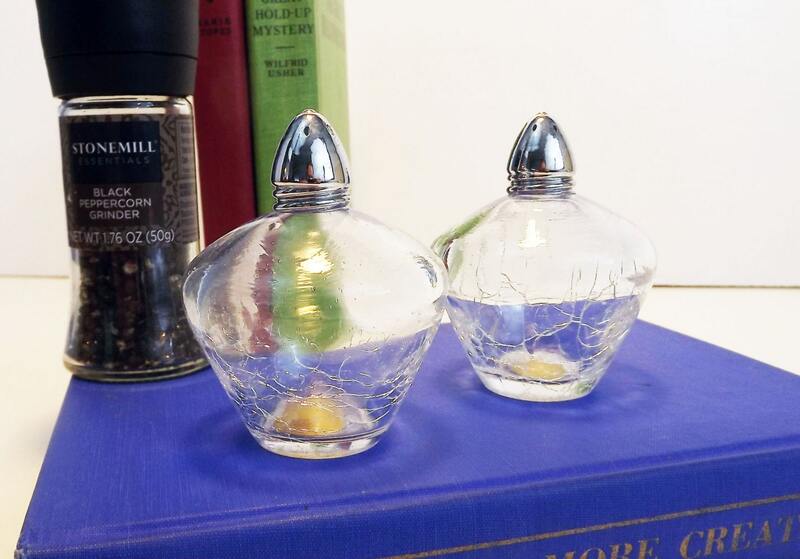 This is a lovely pair of vintage crackle glass salt and pepper shakers. 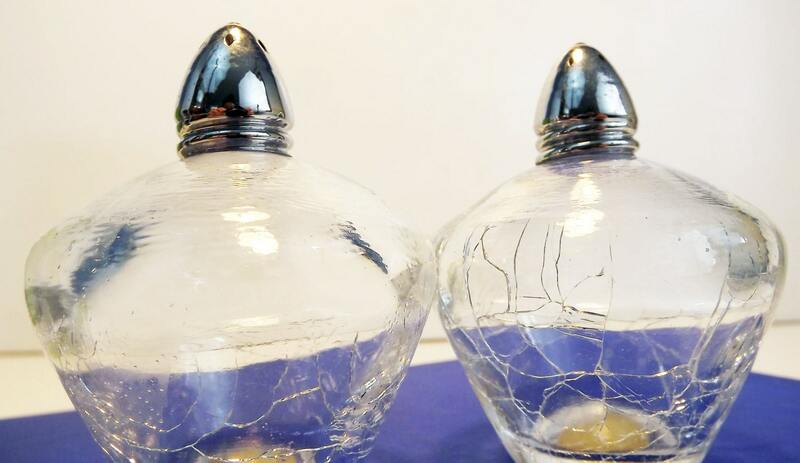 Gorgeous design with the crackle portion of the shakers being toward the bottom. The silver colored tops screw on. Both still have the original stickers "I.W. 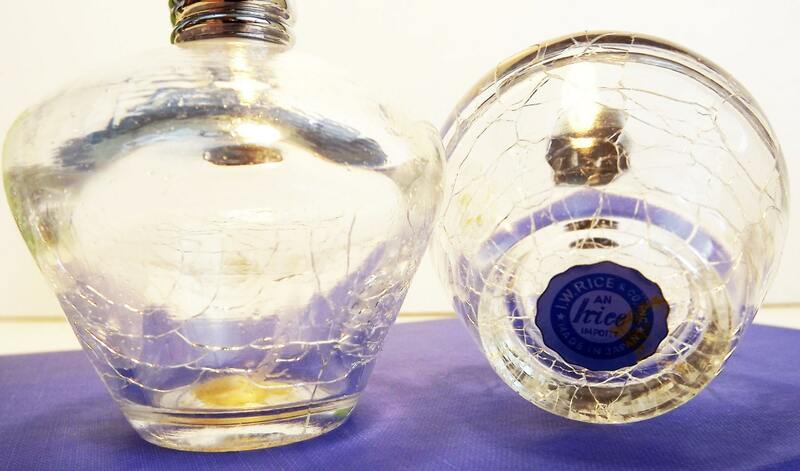 Rice & Company Made in Japan An Irice Import"
Condition: These shakers are in great condition for their age. No chips or cracks. Both pieces are in great condition. 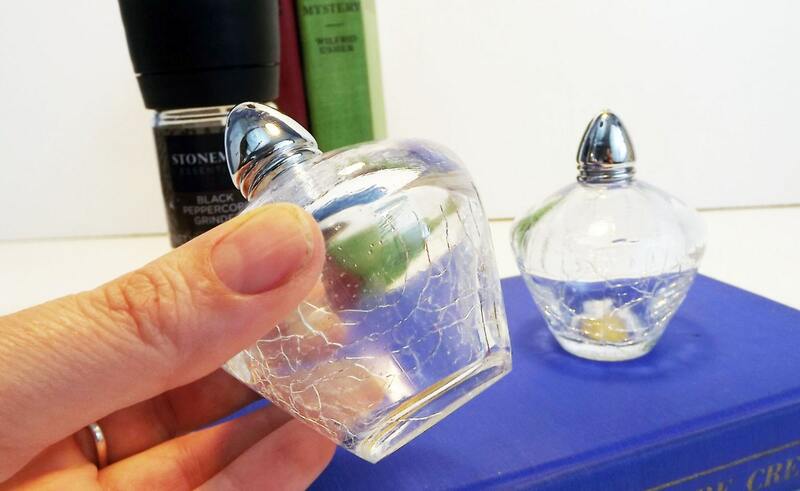 Even the silver colored top of the shakers are in great shape with little (if any) wear. Size: They measure 3 1/4'' tall by 2 1/2'' wide (at the widest). 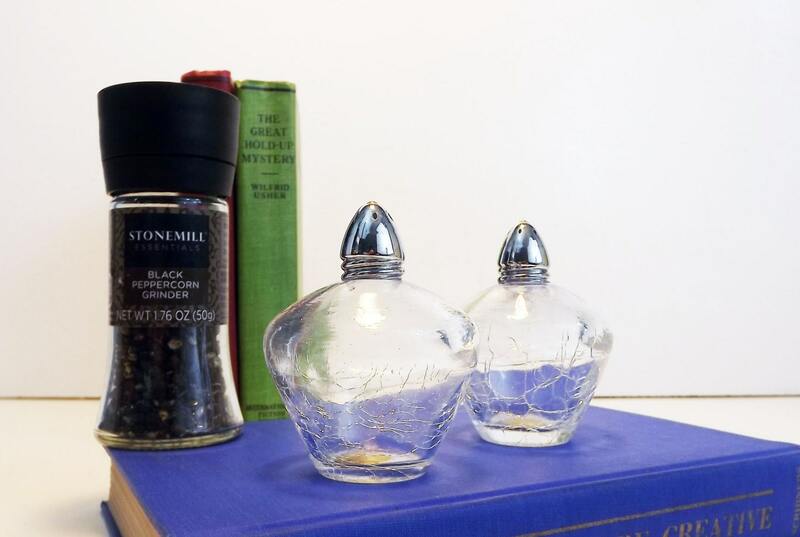 Adorable set of vintage salt & pepper shakers.